Books and magazines are always neatly in order at manga cafe’s and shops. Japanese manga is a cultural export from Japan that has spread in countries throughout the world. Even the word “manga” itself has been adopted into English language and has long been defined in all major dictionaries. Many people attracted to manga collect them, especially if they involve a continuing storyline. Perhaps the best way to collect the whole series is to dig into shelves of any of the stores selling second hand manga and, besides, it’s much cheaper to buy the volumes used than new. 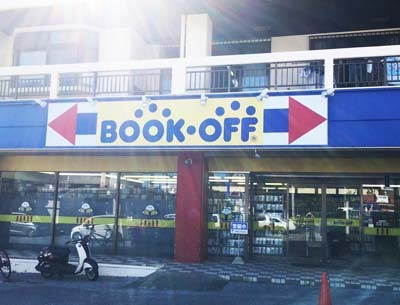 Book Off is a chain selling used manga. 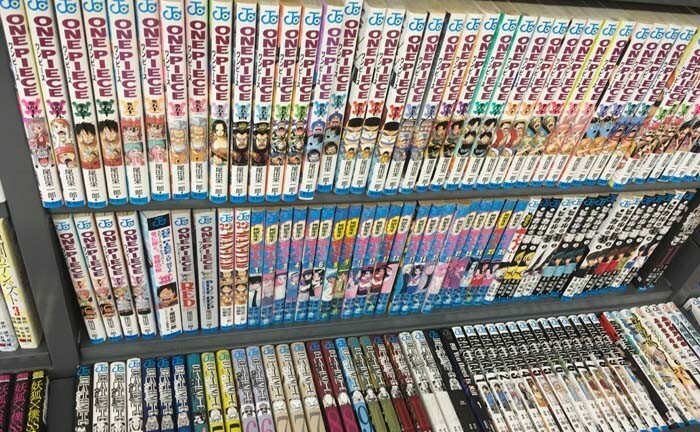 Especially, long-running volumes of titles, such as “One Piece” or “Naruto” can often be found at second hand bookstores. In this way you will be happy to keep your favorite Manga originals close, and it’s often the only way to find old titles, which are no more sold in normal stores. You will also see many people standing at bookstores for hours an end digging up new interesting manga. This is called “Tachiyomi” culture in Japan and the shopkeepers don’t seem to mind as someone always buys something in the end. Manga cafes are another place where one can find an amazing selection of manga. They are almost the same as Internet cafes in Japan. Both have semi-private rooms where visitors pay by hour and are free to surf the Internet or read Manga hours on end. Many include free soft drinks in the hourly charge. Some have shower rooms and customers can even order food. Almost all of them are open 24 hours a day. All manga and magazines are neatly in order on their shelves from the first volume to the newest. Recently, almost all rental DVD shops have started renting manga as well. Many people borrow whole series of manga for a few dozen yen per book. For those who want to relax and read manga at home, rental manga might be the best way to go. Some people find borrowing Japanese anime DVDs at a rental DVD shop a way to stay apace with Japanese cultural trends or even to study Japanese conversation. Finally, everyone should take a look at original Japanese anime and manga titles to get a deeper understanding about Japanese culture. There are bi-lingual manga available for example at Tuttle Book Store at Plaza House for those who have no prior knowledge of Japanese. That just might be a fun way to start something that will prove to be very useful in the future.